From small-to-medium-sized businesses to much larger enterprises, live streaming — especially multi-streaming — helps companies reach more customers, engage with their followers, better communicate internally, and ultimately maintain a strategic advantage against competitors. Live streaming setups are typically configured in a fixed indoor location, such as event rooms or streaming studios. 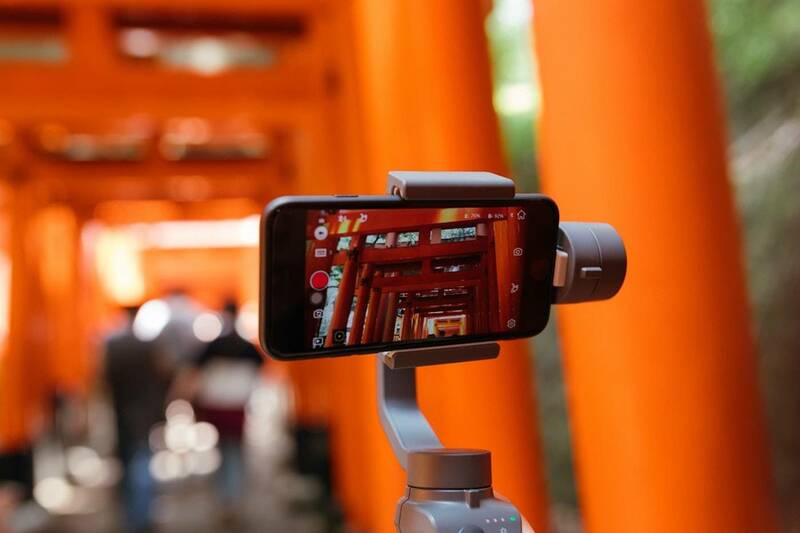 And with the advent of wireless internet hotspots, there is a new opportunity for companies to go beyond restrictive fixed settings and take their live streaming to the next level with mobile live streaming. Doing so enables companies to think outside the box and deliver live video content that would not otherwise be possible. Whatever you decide to do, just remember that professional quality is key for a truly effective mobile live stream. Streaming from a smartphone is convenient but offers limited video/audio quality and visual perspective. To really “wow” your audience, we suggest using an inexpensive, dedicated hardware encoder, such as Epiphan’s Webcaster X2, along with a camera to achieve a high standard of quality in your stream. Better yet, you can use Switchboard Cloud with Webcaster X2 to stream to multiple platforms simultaneously—such as Facebook Live, YouTube, Twitch, and Periscope—and multiply your total viewership. Wireless connections are notoriously less reliable than wired connections. So when connecting to a hotspot, it’s very important to test your bandwidth. As a rule of thumb, aim for your minimum upload bandwidth to be roughly 1.5x your stream’s bitrate. To provide an example, a 720p HD livestream with a 4000 kbps (4 Mbps) maximum bitrate would require a minimum stable upload speed of 6 Mbps. And if you’re multi-streaming using Switchboard Cloud, you’ll need additional bandwidth allocated for each outgoing stream. 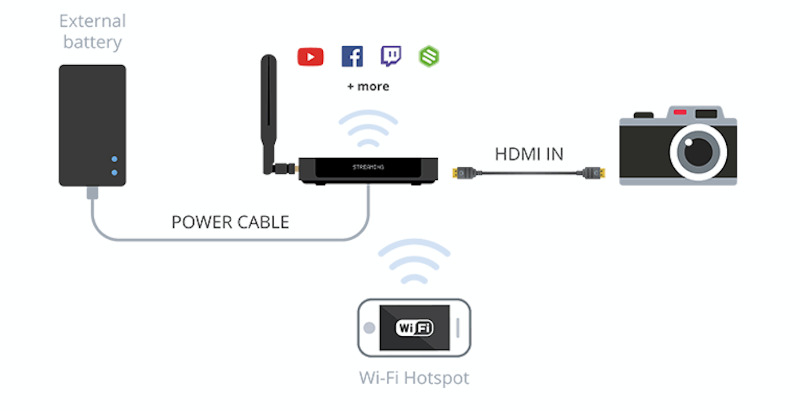 Check out our article on how to connect to a hotspot with Webcaster X2 for detailed step-by-step instructions. Webcaster X2 and Switchboard Cloud make it possible to go live and reach audiences across different platforms – all on-the-move. 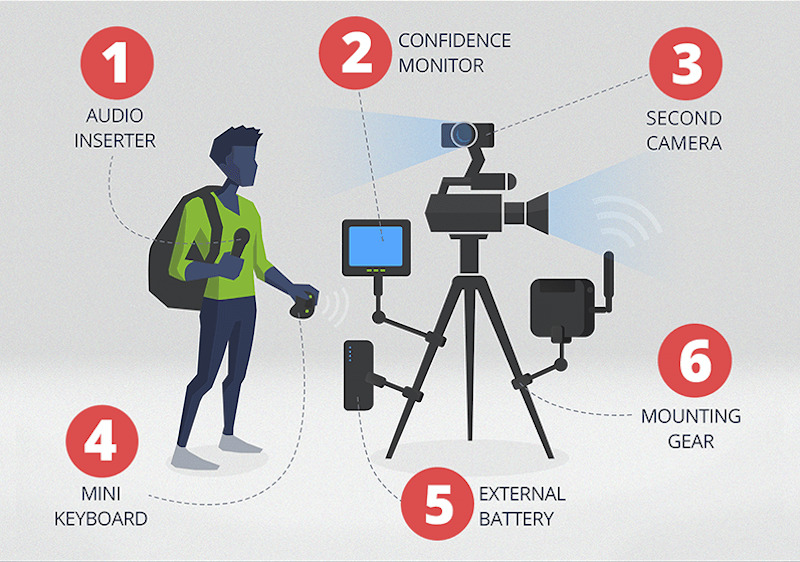 But if you have a creative spirit and an inclination toward experimenting and trying new things, you can take your mobile live streaming setup to new heights. Connect a second camera to your Webcaster X2 and switch between your two cameras using your mini keyboard. Get creative with your live stream and alternative between different views! Check out our post 6 ways to supercharge your Webcaster X2 to learn more. Live streaming is growing in popularity across a variety of industries for its power to enhance communications, marketing, training, and education strategies. And as you can tell, mobile live streaming is a powerful opportunity to connect with your audience in new and exciting ways. Epiphan Video makes video capture, video recording, and live streaming Facebook products, including video grabber, video switcher, and capture card devices. 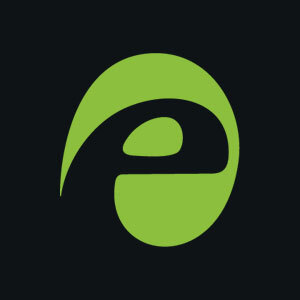 Epiphan is an official partner of Switchboard Live.